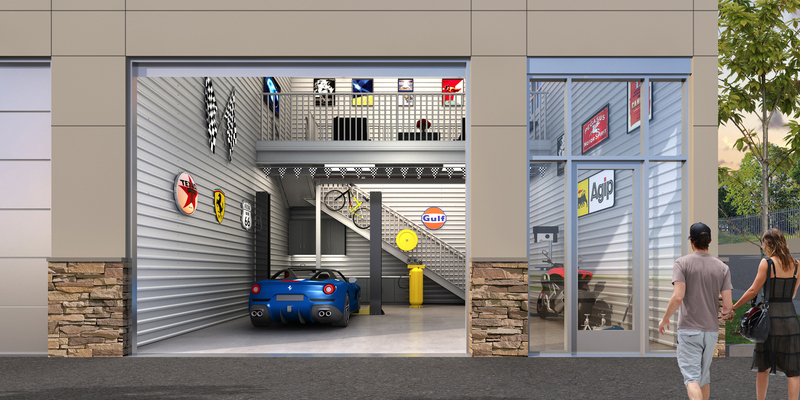 Units are designed to accommodate from one to a large collection of cars or motorcycles — more when stacking systems are used — as well as any type of business or personal items. 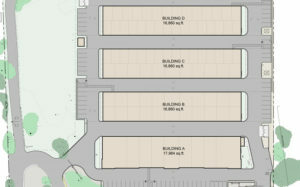 In addition, some condos are suitable for storing boats and RVs. Contact us for the latest availability. 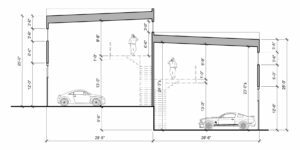 And please review our Turning Analysis for more information regarding access within the complex for RVs, boat trailers and even 18-wheel semi-trailer deliveries. 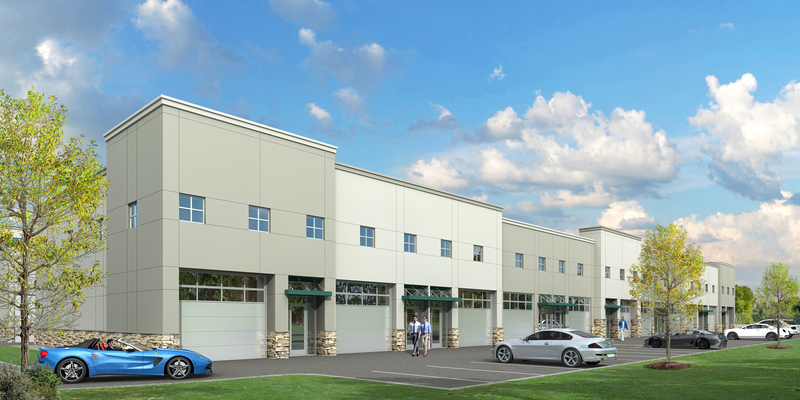 Every garage-condo at Monterey Motorsport Park will be insulated, with the option of installing a climate-control system. The mezzanine is accessible via an interior staircase and includes connections for Internet and phone service, plus cable TV. This makes the space ideal for a personal office or a relaxing retreat for you and your friends. Security features such as access-controlled entry gates, security lighting, plus we will be installing the next generation of Pro-Active Remote Guarding security solutions from Elite Interactive Solutions. 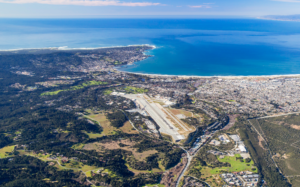 As the leader in Remote Guarding, Elite Interactive Solutions integrates event-driven artificial intelligence to prevent crime at hundreds of commercial properties across the U.S.
Monterey Motorsport Park is located along Highway 68, adjacent to the Monterey Regional Airport. This will make it convenient for auto enthusiasts and collectors who often visit Monterey to enjoy the racing at WeatherTech Raceway Laguna Seca, which is literally minutes away, or take part in Monterey Car Week or the many showcase events and auctions held locally. Don’t be late to the starting line. With construction well underway and occupancy expected in Q4 2019, reservations for units are being accepted now. And as a successful, savvy businessperson or investor, you certainly appreciate the value of getting in on a deal early. 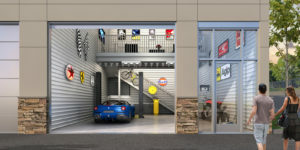 Purchasing during construction not only ensures you the best selection and your preferred location, but it also affords you the greatest flexibility in arranging for any special modifications or customization that you might wish to do — to create a truly remarkable space for you and your collection. Remember, because these are condos you’ll buy, not lease, you can lock in your occupancy costs in a market with rapidly rising rents. Plus, you’ll get all of the potential benefits of commercial property ownership such as expected appreciation, as well as tax write-offs if you operate a business in your unit. 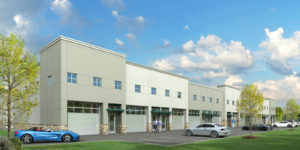 Plus In addition, SBA financing at attractive interest rates of up to 90% of your purchase will be available.